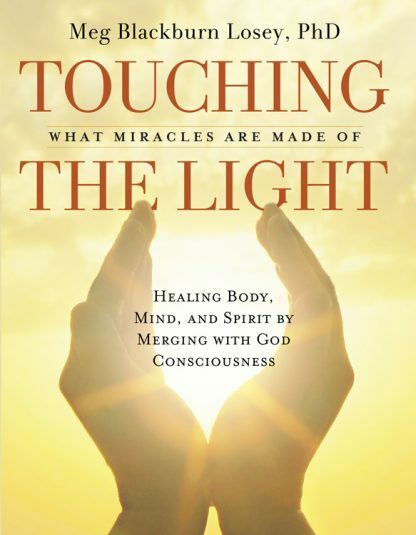 Red Wheel ∕ Weiser Online Bookstore | Touching the Light: Healing Body, Mind, and Spirit by Merging with God Consciousness by Meg Blackburn Losey, Ph.D.
How is it that miracles happen? Is spontaneous healing really possible? Why is it that some illnesses don�t show up in standard or even specialized medical testing, yet are very real in their effects? Can someone be �cosmically sick� with no apparent physical cause? How do the people and places around us affect us in our everyday lives? Can we intentionally and effectively create miracles of healing to change lives, or to effect positive outcomes even when situations seem hopeless? How can symbols of light be used to instantly attune someone�s entire energy system?